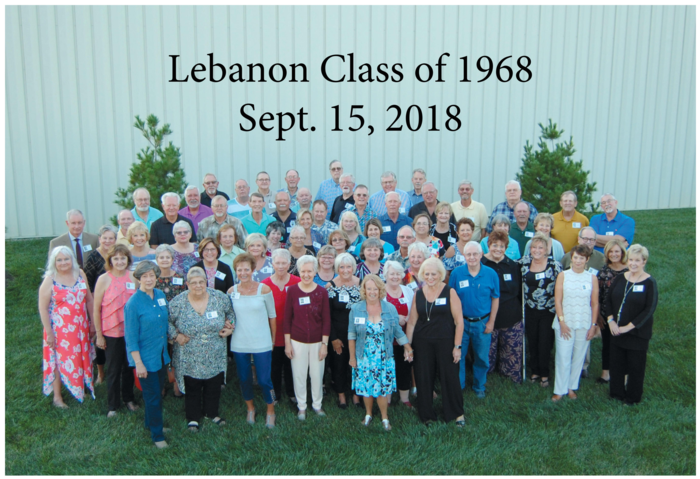 Welcome to the Lebanon Senior High School Class of 1968 website. On this site we hope to provide a way for classmates to connect in the future. 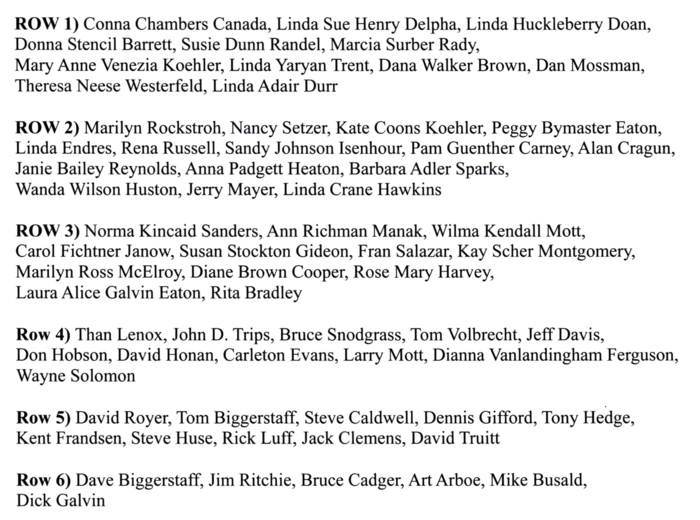 All of the class names were taken from the 50th Reunion booklet. The information and privacy settings for each classmate is left to that individual to add as they deem appropriate. Monthly class dinner at the 32 Bar & Grill in Lebanon, on Feb. 27th. Good food (most had catfish!) and lively conversations. Attending were: Linda Delpha, Janie (Charlie) Reynolds, Dan Mossman, Alan (Grace) Cragun, John Trips, Dana Brown, Linda Duke, Rena Russell, Tony Hedge, Linda Trent, Linda Durr, Sandy Isenhour, Laura Eaton, Carol Janow. Not pictured: Bruce Snodgrass. A very touching Classmate Memorial ceremony was held during the reunion, as we remembered our 37 deceased classmates. This classmate memorial video was shown during the ceremony.